[From IMDB:] A single mother, plagued by the violent death of her husband, battles with her son’s fear of a monster lurking in the house, but soon discovers a sinister presence all around her. This is one of the most emotionally intense films that I’ve seen in a while. From start to finish, there’s a sense of growing unease that permeates almost every scene, which is achieved through the combination of some amazing technical work (camera, sound, set design – it’s all great) and, first and foremost, an amazing performance by Essie Davis. With her portrayal of Amelia’s isolation and grief, her inability to cope with her trauma and the stresses of her life as a single mother, and her slow spiral into chaos…seriously, just throw that woman some awards. She’s earned them. As for Noah Wiseman’s portrayal of her son, Samuel…well. On the one hand, he clearly achieved the goals that were set for his character. On the other hand, I would have sacrificed him to the Babadook five minutes into the movie, if I had the chance. So I can’t really bring myself to admire his work. What I will say about Samuel though, is that I’m not quite sure they handled his development as a character all that well – because it almost seemed like there were two versions of him over the course of the movie, without any real explanation for why this was so. And, when placed alongside Amelia’s very clear arc/development, this felt a bit jarring. This wasn’t the only jarring thing in The Babadook, either. The final act of the movie, which otherwise handled its development of suspense and tension quite superbly, was a bit uneven – in large part due to its attempts to engage in the more traditional aspects of the horror genre. 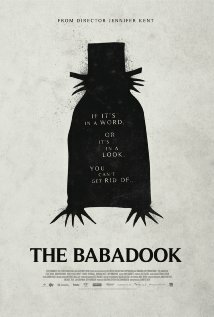 Which is not to say that The Babadook fails as a horror movie – in fact, it evoked a sense of dread/horror in me on a number of occasions; but the points at which it deals with the more literal aspects of horror are also the points at which it had a tendency to feel a bit forced. Having said that, I still think that, in those moments where it’s at its best (which is for the vast majority of the movie), The Babadook is a pretty fantastic addition to the genre; and that it’s a distinctly Australian one adds an extra element of goodness for me.